ONLINE REGISTRATION & SPONSORSHIP IS NOW OPEN! Individual and team registration as well as sponsorship opportunities are currently being accepted online. Simply scroll to the bottom of this page and register today! WHERE IS YOUR SPONSORSHIP AND DONATION GOING? 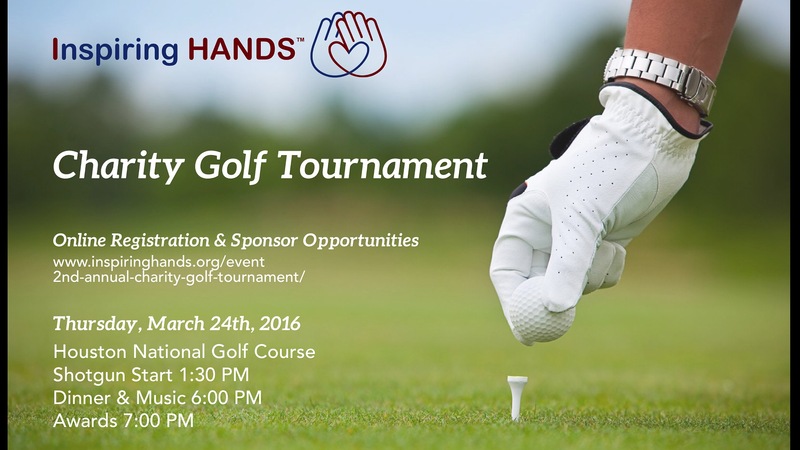 A portion of the proceeds from the 2nd Annual Golf tournament will benefit Inspiring HANDS programs such as Camperships, Riderships and Inspiring Youth events. Your participation and support is vital to the success of these programs. Together we can make a positive change in the life of another! Houston National Golf course is located in Northwest Houston and features 18 championship holes designed by famed golf course designers Von Hagge, Smelek & Baril. The course features unique rolling hills and spectacular architectural features. With new bunkers, driving range, cart paths, and fantastic greens Houston Nation is one of the best golf experiences in Houston. DRESS CODE is ‘business casual’. Collared shirt required for gentleman, shirt with sleeves or collar required for ladies. Absolutely no denim is permitted on the practice grounds or golf course. Hemmed shorts are acceptable. Sponsorship’s are welcomed for the Golf Tournament. We offer many levels of sponsorship from our Event co-sponsor and hole sponsors to team sponsors. If you or someone you know would like to become a sponsor please let us know. Inspiring Hands is a 501©(3) Tax Exempt Non-Profit organization in the State of Texas, Harris County. You donations are tax deductible to the fullest extent of the law.